People choose a lot of different past times in order to have fun and get away from the everyday stress that life often brings. One such past time just happens to be bowling, which can be great if you know how to properly take care of your bowling equipment. Properly cleaning your bowling ball can keep it in great shape, but also makes a big difference when it’s rolling down the lane. A ball that is dirty, or allowed to collect grime will not role as efficiently as other balls that are kept cleaning and may not go in the direction you aimed for it too. With some of these great tips on how to properly clean your bowling ball, you’ll be having fun in no time and with better results too! There are a few different options that are available to those who want their bowling balls properly cleaned. The first and easiest of course is by having it done professionally. 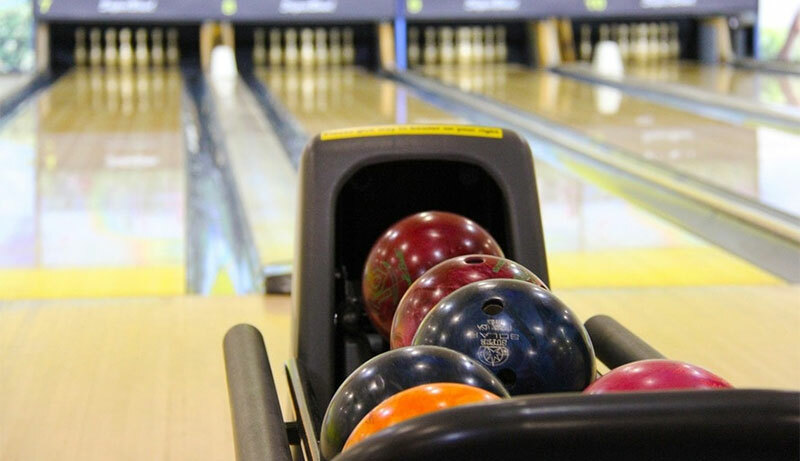 There are services both at most bowling alleys and in town in general that can run the bowling ball through a ball rotator which will clean the ball, but can also scan it to see what type of surfaces on the lanes are typical for the use with your bowling ball. The other choice of course is by cleaning your own bowling ball. Numerous professional bowling shops and websites can offer the proper cleaning material to help you get the most out of your bowling experience. Most professionals recommend buying a microfiber towel to clean and polish your ball. This is because microfiber towels are gentler on sensitive surfaces and won’t leave scratches which of course is important in the world of bowling. After you’ve purchased the correct towel, you’ll also want to purchase bowling ball polish and wash. Both of these are optimal in cleaning and shining your ball. In order to clean your bowling ball, you want to follow the instructions on the bottle and apply a small amount of bowling ball polish to the towel and work it carefully and evenly throughout the surface of the bowling ball. You want to do this any time you first start to bowl and of course after you’re done. This is because after a good polish and the first throw down a lane, a bowling ball has pores on its surface that are more open. The polish can buff the oils and unwanted residue out. Some people opt to also go with a ball buffer which can also be purchased online through different companies that market bowling equipment. In doing so, you can properly buff your bowling balls in much the same method that many companies who professionally clean bowling balls do. It’s recommended that you first use a microfiber towel and use the ball cleaner on it as needed until the oils and residue are removed from the lanes, and then follow up with the polish. Buffing the bowling ball will even out the polish and give you a great looking bowling ball, seal up the pores on it, and have it looking great. Depending on the brand you use, some people may prefer to use the air blowing device that is meant to dry bowling balls as it can keep the sweat and oils from your hands from getting on the bowling ball as well as drying the cleaner and polish you used on your ball. There are different methods that each person uses to make sure their ball is clean, it’s up to you to decide which one is best for you.